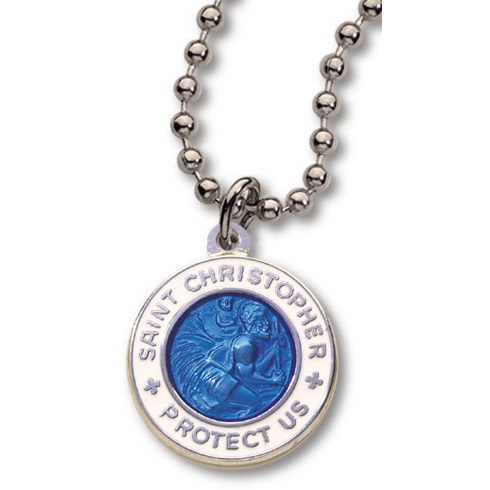 This dark blue and white Saint Christopher necklace is silver plated and hand enameled. It comes on an 18 inch ball chain. Individually carded. Medal measures 3/4 inch in diameter. Sold in a pack of two.